The Locksonline EPS padlocks are incredibly versatile and high security, and with it's patented key you can be assured no one can get a key cut without your authorisation. LocksOnline High Security EPS Padlocks - This model of padlock comes with a 55mm body and provides an excellent, high level of security. 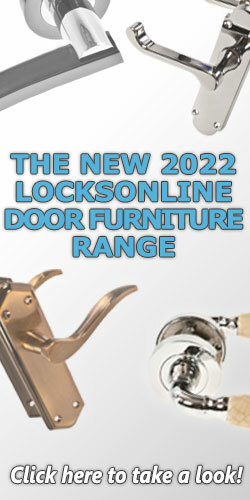 Our range of High security padlocks are a part of our high security EPS range. 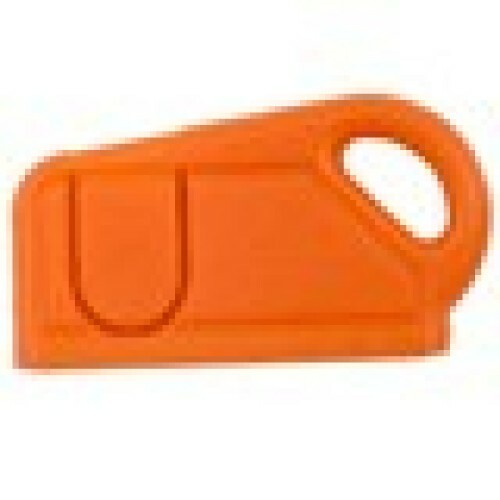 These models are suitable for home and business applications. 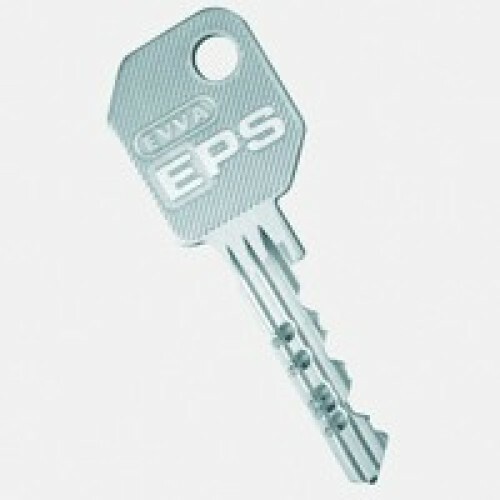 Our EPS padlocks can be used to secure doors, gates and can be used in conjunction with chain to secure your property. Master keying and Keying Alike these models is an helpful and essential method of improving security in businesses that tend to have a wide range of key distribution. This gives you more control over your security and allows you to be able to closely monitor physical security. Patented Profile - Our keys are patent protected. This means our patented keys ensure that nobody can get your keys cut without strict permission from you. Optimum Wear Resistance - The body of this padlock has been constructed of solid brass and comes with a hardened steel shackle. This ensures that wear resistance is optimal and this padlock when maintained can last for many years, securing property much more effectively than standard padlocks. Hi, guys. My name is Darrel and I'm head of the tech team here at LocksOnline.co.uk. Thanks for taking some time to tune in and have a look at one of our review videos. What we're going to do today is we're going to have a quick chat with you guys about master key systems and how they actually work. How does a master key system work? If you're thinking that you might want a master key system for yourself, how would you go about designing it or at least getting it in your head how it actually works so therefore then you know the limitations or the ability that a master key system could have for you? So what we're going to talk about first of all is the master key and what we call in the industry a differ key. The cuts on those keys are slightly different, but yet both those types of keys will work on the lock. So what I have here is I have a cylinder, and I have two sets of keys. If I was to pop those up there against the whiteness there, you'll see that the cut arrangement on that particular key there is different to the cut on that. I don't know if you can zoom in there enough to see that, Lee. But they both are of different cuts, yet when we try to put this in the cylinder like that, I turn it, that key works as what it should do. Okay. And this key also works as it should do. All right. One of the quintessential reasons why that is the case is what we call in the industry the importance of what we call the shear line. There's a part on a lock called the shear line. It's when the pins actually go up to a different level to allow the cylinder to turn. All right. So that's the purpose of the shear line. So instead of going at every single pin, let's just get one pin and let's put it on here and show you exactly what is happening inside that lock. Okay. So what you would normally have, first of all, is what we would call in the trade a plug pin. Okay. And then above the plug pin, we would have what we call in the industry a housing pin. And, on top of the housing pin, a spring. Okay. So that's what's happening in each one of those divots there, all those indents. This is where it's happening, and there are six of those situated across there. Now, those divots can be any depths we want them to be. In this particular case, it'll be at the 10 depths. So we can have depth one, all the way up to 10, one being the shallowest and 10 being the deepest. So that would be a shallow cut, like that, and then 10 then would be a deep cut, like that. This is a slight exaggeration, but that gives you an idea. So let's assume, for the purpose of this exercise, that is we were to use number five cut, so it's not going to be as deep as the 10, but obviously not as shallow as the one, and let's assume that this is number five pin, then when I put the key in, this is going to lift this up to the correct position off the shear line. If this pin was six or if it was four, then it's either going to drop this pin down past the shear line or this pin is going to go up too far over the shear line. That technically stops the key from turning. So it's important for you to have the right cut. I hope that's trying to explain that a little bit better for you. So that's basically how that is working. All right. But let's assume if I was to take that out and I was to break that down a little bit, let's assume for the purpose of this exercise that was a pin of two. Okay. And then I put another pin in underneath. Let's say that's a pin of three. All right. Now, all of a sudden, if I put in a pin, we need to get rid of that shear line there. Now, all of a sudden, if I put in a cut of three, then I've created a shear line there. And if I put in a cut of five, because it's two and three added together, I can create another shear line there. So now I can have a key that's got a cut of three and a key that's got a cut of five, because you need to add the two together, and I've now effectively got two different cuts of two different keys. And they both operate the same lock. That's the basic principle on how a master key system works. There are variations to that rule, as there always is, but if you want to go back as far as to keep it as basic as possible, this is what we called in the industry, when I was in school, matrices and what could go into what. This is how a master key system works. So that's the basic principle of that. So, when it comes to wanting a master key system, you might turn around and say to yourself, "How would I benefit from a master key system?" And one of the major reasons why you would benefit is let's just say, for an example, you were a company or a business and you turned around and said, "I might want to go to my sheds that are over down the road" or, "I want to get into the office department but that's over there" or, "I want to go into the warehouse, and that's over there and I've always got to try to get the key off Jim. I've got to get a key off Bob to be able to gain access there." Ultimately, at the end of the day, I'm carrying a big bunch of keys that operate this pad lock over there, that cylinder over there, etc. It's an absolute nightmare. Well, you can actually strip that all out and have one key. You can still control all your security. Everybody can still have unique keys to their divisions or their departments. But you, as being the boss, can have one key that fits everything. It can even extend to fitting your house as well. You go a little bit diverse. It can actually control your whole life with the one key. So that's the benefit to you as an owner. The other benefit as well, if you were to use our EPS system, it's patent protected. That means that you can only get keys through us. So you know when you give Jim, the manager of the warehouse, the key to operate the warehouse locks, you know that Jim isn't going to be able to get a copy and give it to somebody who's a little bit maybe ruthless or whatever, or an ill character and end up then losing the security and the integrity that you're trying to invest in. So we support that. We support that with a patent protected system. That doesn't necessarily mean to say if budget's more of an issue, we can look at budget. But some of the security then also gets diminished. So we always recommend to go for a patent. If you're going to invest in a master key system, go for a patent protected system. Therefore then you have the security in that as well. But anyway, talking about a business is one great way of explaining to a customer how a master key system works. So if we were to use the technical business model, at the top we would have what we call in the trade a GM key, a grand master key. Okay. You as the boss or the landlord or the owner of the hotel or anything like that would have this. This is the master key. This is the key that controls everything. So that's what you would have in your pocket. Then, if you were to use a business model, we might then have over here the accounts department. I'm going to call that AC for accounts. Okay. You may have, like we've just mentioned, the warehouse. So let's call that the warehouse, WH. And then maybe over here then you've got sales, for an example, or one of your offices for the sales, etc., as an example. Of course, this can be extended, depending on your application. The trees can be extended below as well, depending on your application. So let's assume, for the basis of this exercise, just a very basic exercise, that in the accounts department you have five offices. One, two, three, four, five. Okay. Each one of those five offices has a member of staff in them, working away. It could be a payroll ledger, it could be nominal ledger, it can be a sales in or goods in or whatever, etc. These could be different offices. And they would all have their own unique keys to their office. Okay. Similar, like here in the warehouse, you might have a stores man in his office, you might have the general manager in his office, and you might have a room here that carries the lift or a hoist or anything like that. And they've all got their unique keys. But the manager of the warehouse, his key can access the whole lot. But you might have somebody here who only has access to that one particular room. And that's all you do is you give him a key. Of course, you don't need to. You can just have the manager's key. You don't need to give these keys out. It's entirely up to you. But it gives you an idea of how master key systems work. So if we were to go back here, we've got five members of staff working in the accounts department. To the accounts department, there's one common front door, around the side of the building. So here's the front door. Now, every single one of these accountant people that work in here have a unique key to their own individual office. But they all come through this front door first thing in the morning. So what we would do is we'd make this front door common. So all of their keys can fit the front door as well. Now, a typical example you might be familiar with in that particular type of setup is in a hotel, for an example. You may, and I certainly have, been to a hotel where you sign yourself in and they give you one key. They say that key will fit your room, in other words, office; one, and it will also fit the front door. In this case, the common door to the group of offices. Exactly the same principle. This key up here, which would be the manager's for this, this key might be the cleaner's room key in a hotel room situation where these rooms are in a certain block of the building. Of course, the accounts manager cannot have access to the warehouse. And the warehouse has not got access to the sales department. All of these are subgroups of the master key system. And you can continue to build this out and carry on down and down to many thousands of individual differs that you call down here. These we call grand master because because it's the grand master. It's the top of the tree. These we would then call masters or sub masters because you break it down into a sub group again. These we call here as differs. In other words, these are the individual keys to the individual doors. So that's the basic principle of how a master key system works. Now we would always recommend, as I've mentioned before, if you're going to invest in having this setup for yourself, to make your life easier, invest in a patent protected system. 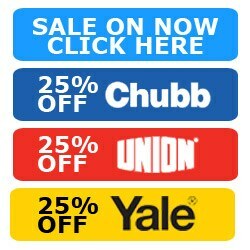 Invest in our LocksOnline EPS system. I've been in the industry, involved in security, now for over 30 years. We have our own installing company locally. And of course, we've been retailing over the Internet now for the last 15 years. We aren't planning on going anywhere soon. So you can rest in confidence knowing that if you're going to invest in a master key system, that the company you're investing in is going to be here to make sure that they're going to look after you in the years to come. Because if you're going to do this, you can do it over phases. You may turn around and say to yourself, "Well, I've designed it but budget will only allow me to do this particular piece." Or you might turn around and say, "Well, I'm refurbishing sales next year. I'll implement it in there." We grow with you. So as you move and you build your master key system, so can we. Now, I'll let you know as well, you can get oval cylinders, you can get rim cylinders, like a Yale type of lock on a master key system. 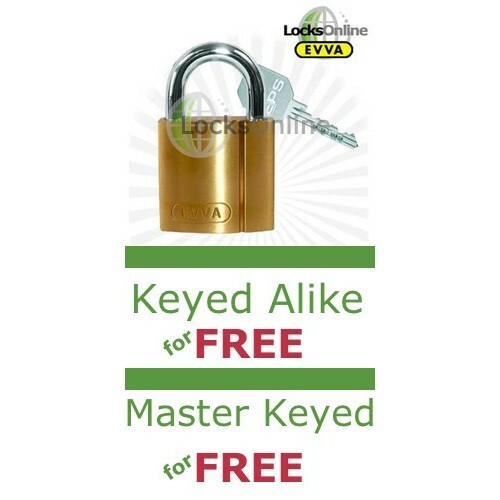 You can get a whole myriad of pad locks, like the main gate padlocks, high security padlocks, etc. can be part of a master key system. You've got the Euro profile cylinder, which is this, which is very, very popular. And there's a whole other range of Swedish ovals and Assa ovals and so forth. And screw-in cylinders for aluminium doors. 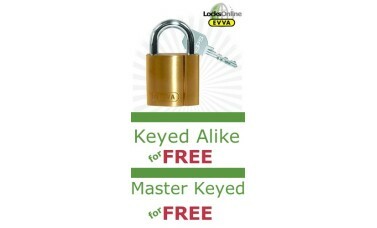 Every type of virtually every cylinder can be implemented into a master key system. So it doesn't really matter if you've got wooden doors, if you've got steel doors, if you've got UPVC doors or any type of doors. You can still implement your master key system. Typical uses, as we've talked here about businesses, hotels, landlords where you can give keys out and know they can't get copies cut so that you can control them when they leave. You know they had two keys and they give two keys back. 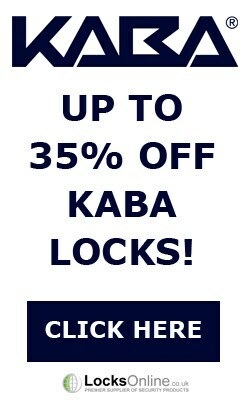 It saves you having to go change all the locks all the time. If somebody loses the keys, you can just use your key to get in and you can give them spare keys, etc. And you know that when you give them a key, they can't get a copy cut. So you know that your security is maintained and it's intact. So that gives you a rough idea of the master key systems. There are always variations to the rule. By all means, you're not governed by this sort of layout. But if you're thinking of implementing a master key system, by all means use this as a basic stepping stone, basic template on how a system works and then you won't go far wrong. We can design complicated systems. 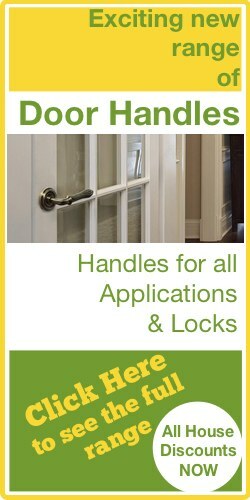 We can design systems up to many thousands of doors for you. So even if it's very specialist and very unique, we can actually design, build and work with you and build them up over a period of time. Yeah. What more can I say? I hope I haven't confused you too much. But I hope I've been able to explain how it all works. But listen, if you need more advice, if you want more information, by all means pop on the phone. Use the live chat. You can talk to me direct. Just pick up the phone, ask to speak to me and I will chat through with you and try to reiterate what we've said here to design and build and work with you. So from me, Darrel, and all of us here at the LocksOnline team, I hope I haven't confused you too much. But come on in and say hi and we'd love to hear from you. And more importantly, we'd love to see you as a customer. That would be really good for us. All right. Take care. Thanks. Bye-bye now.